Recommended for: anyone who likes minimal shoes with good cushioning. The new version of much-loved On Cloud is here! 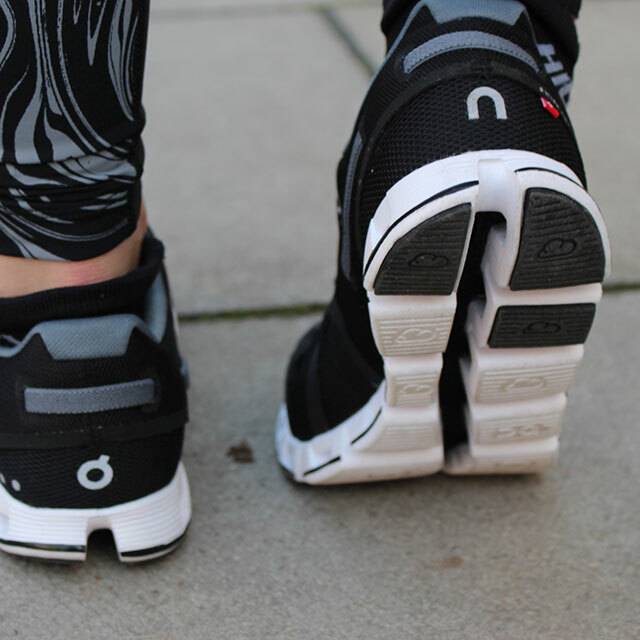 A few interesting improvements across the shoe to give you an even better, smoother and more reponsive ride. The main change appeared in the main channel of the outsole. It has been widened to reduce the risk of collecting rocks and gravel as you go along. Extra abrasion pads added on the outsole for better traction and durability. Also, a woven band around the back of the shoe has been removed and exchanged for the no-sew taped overlays, to give you additional support and reduce the weight. 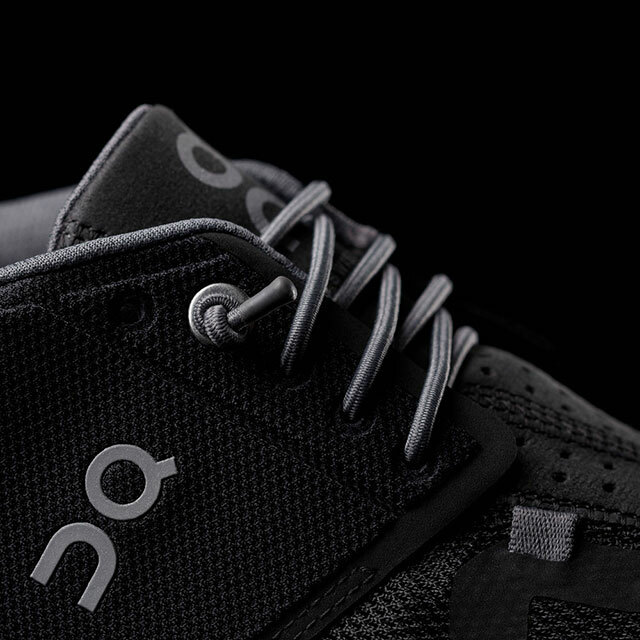 The zero-gravity foam is a new technology for dynamic cushioning – it works when you move. Basically, the only 2 things that work here are gravity and your body weight. 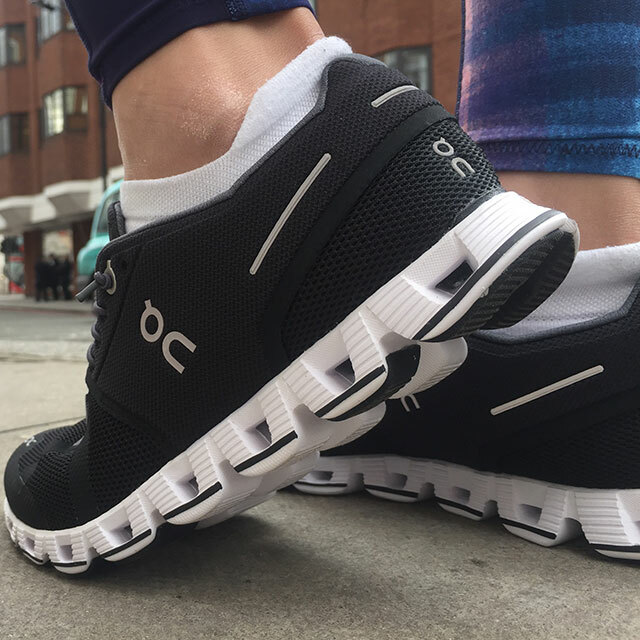 Each cloud (empty inside) adjusts to your running gait and adjusts individually to give the exact amount of cushioning you personally need. That’s why you should run in them before you buy them – you won’t feel it while you’re standing. 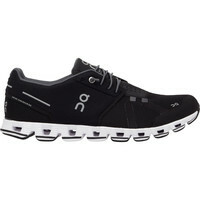 Super lightweight minimal shoes, but very cushioned, which is quite hard to find on the market. Especially if you want to stick to a low drop (in this case 6 mm). 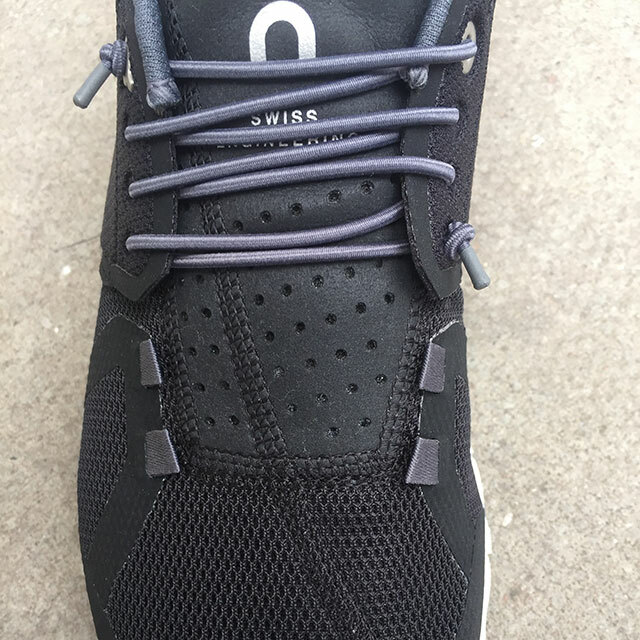 They come with elastic laces, but if you don’t feel secure enough, you can change them for a traditional lacing system (both in the box). 16 cloud elements give you amazing cushioning, but because of the deep flex grooves between them, they move independently of each other. The shoes overall are really flexible and responsive. The first thing you can notice is the weight. It’s hardly noticeable that you have something in your hand (or on your feet). 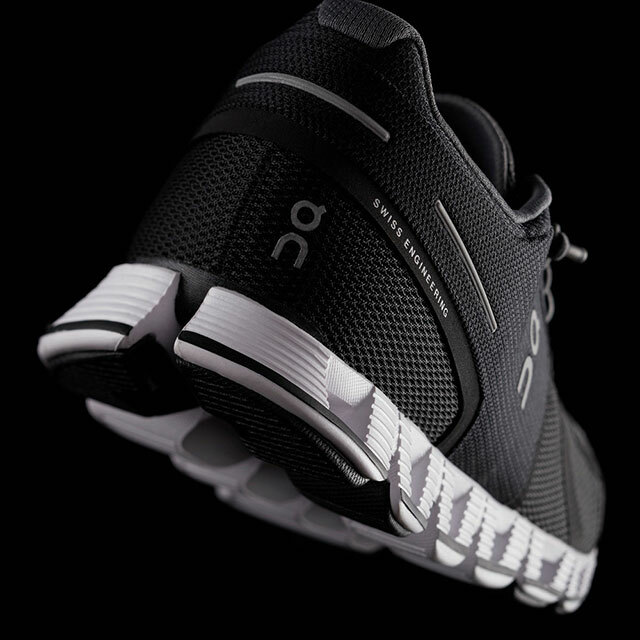 Incredibly lightweight shoes, but super cushioned at the same time (even if it doesn’t look like it). They are soft when you land, and give you a firm kick-off from toes for a forward motion. When you run, you can feel that On shoes are “different” compared to regular trainers with static cushioning. But different doesn’t mean worse. It’s just different. If you like this sensation (most likely you will), don’t hold back just because it’s something new for you. Go for it! Because of all those amazing features, you can feel in very first few weeks that the muscles in your legs are working a bit harder than usual. Don’t buy them just before your race day. Give yourself time to adapt and allow your body to adjust to the slightly bigger range of motion they’ll get. But trust me, it’s worth it. 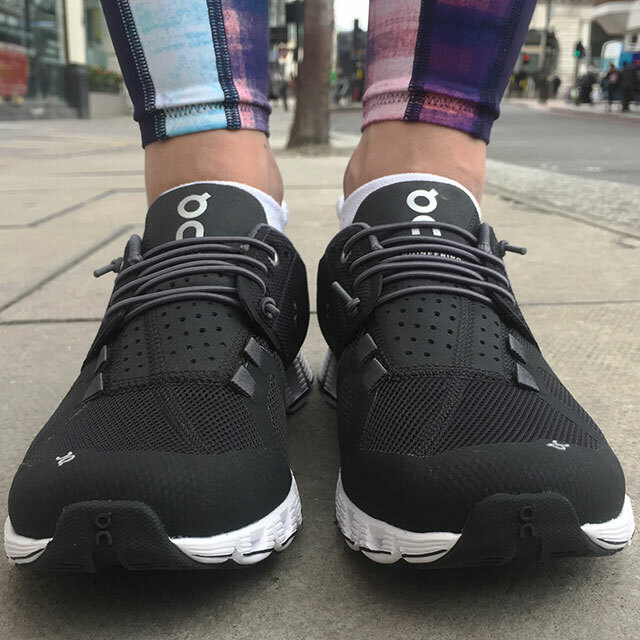 We have the biggest selection of running shoes in whole of the UK, but we still had a small gap between regular cushioned trainers and minimal, thin shoes. Not anymore. On shoes – welcome to our family! Glad to have you on our shelves and on our feet. If you have problems with your feet I would definitely recommend to see a specialist before purchasing any pair of shoes. There're many reasons and factors which can contribute into your injuries and good physiotherapist can help you find them. He/she might also tell you what type of the shoes is the best for you and here at Run and Become we can help you find the most comfortable ones with the amount of cushioning and support you need.